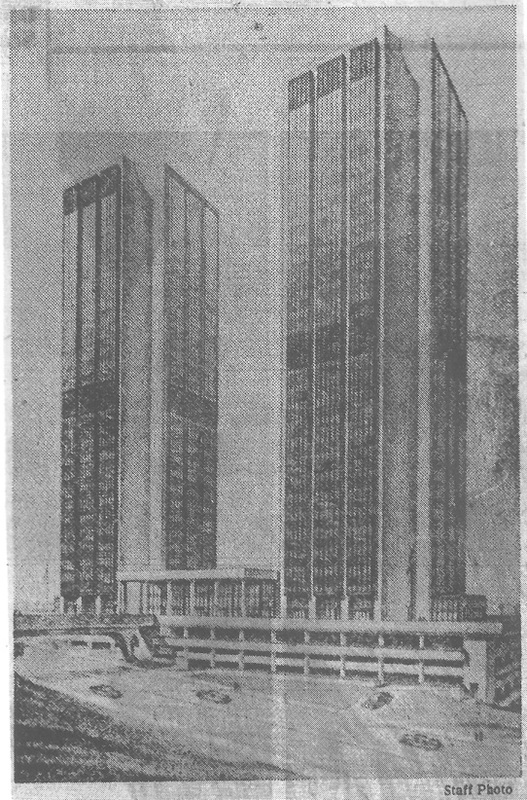 The proposal for this state office office tower complex was first announced in 1968. Changes in leadership at the Governor’s office as well as hits to the local economy delayed construction of the first tower until the late 1970’s. 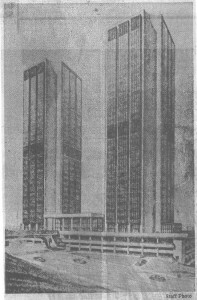 Initial cost estimates for the complex were roughly 30 million dollars. 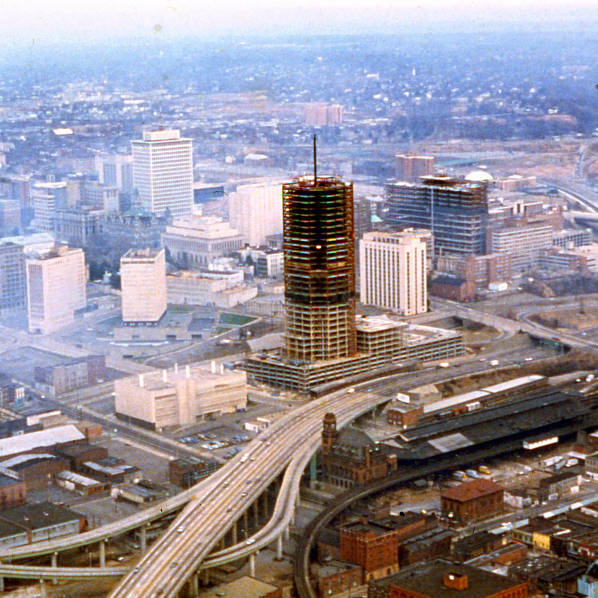 By 1975, the estimated cost for the entire complex was approximately 60 million dollars. 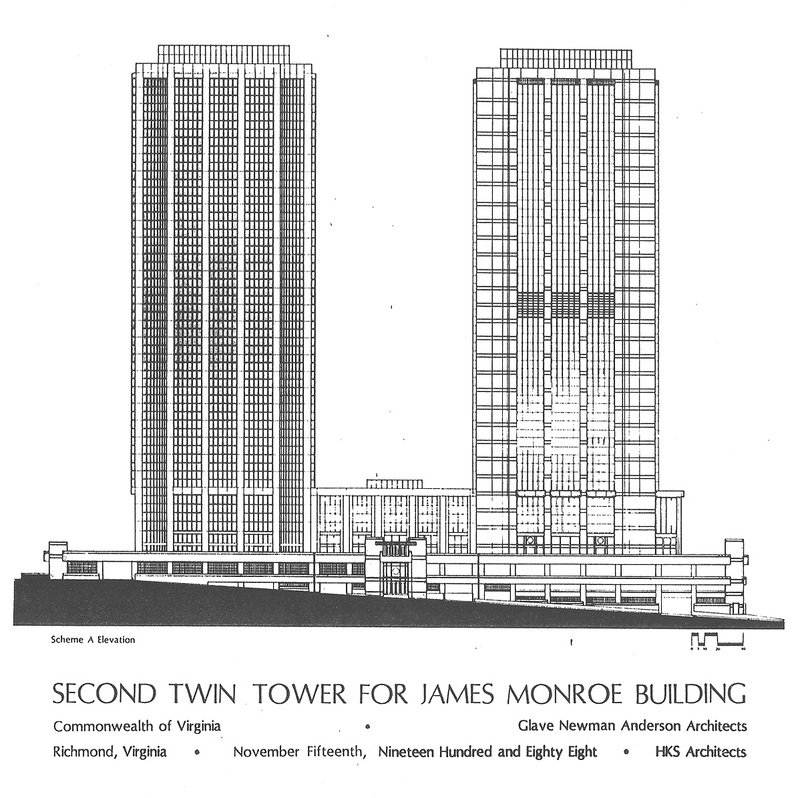 At the time of the tower’s completion, the building was the tallest building in Virginia. 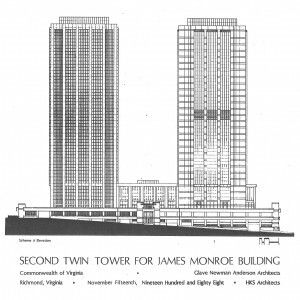 This title was later surrendered to The Westin Virginia Beach Town Center and Residences in 2007 when it topped out at 508 feet. 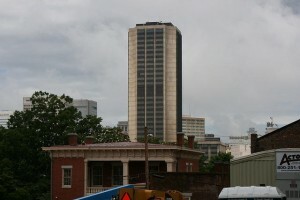 The building remains the tallest building by height and number of floors in the Richmond Metropolitan area. The office tower is composed of a 4-level parking deck, a 4-story attached office building and 29-story office tower. Four (4) of these floors in the office tower are dedicated to mechanical levels. 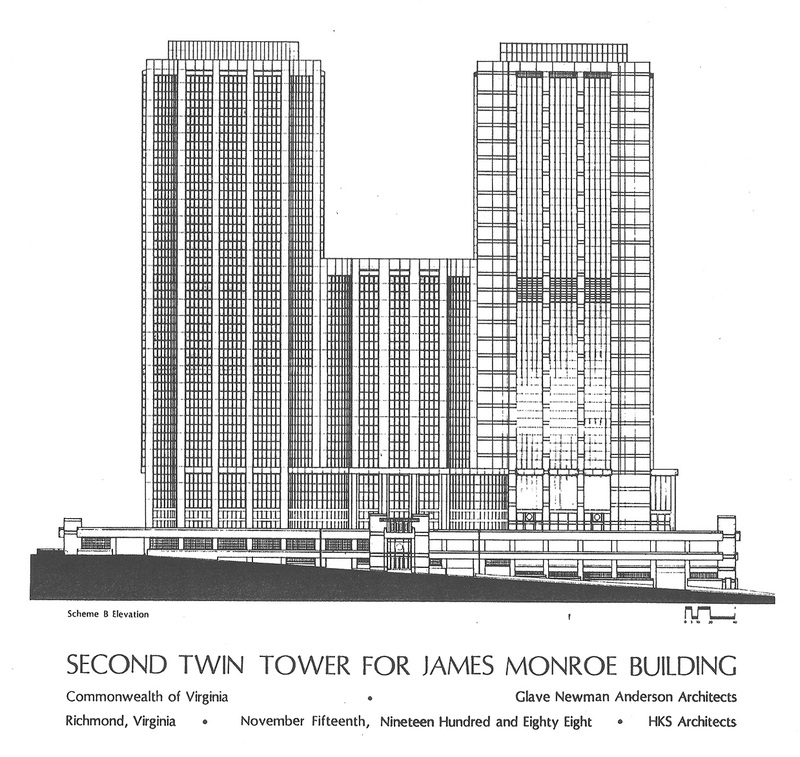 The office tower is 502,928 gross square feet in area, with 357,547 square feet being usable area. 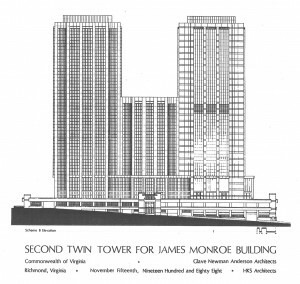 A large plaza is located on top of the parking deck, which overlooks Interstate 95.